Are Safe, High Return Investments Just Fake News? BREAKING: Honey bees added to the endangered species list. Fake news seems to be everywhere these days. If it's not alarmist headlines about the plight of the western honey bee, it's greatly exaggerated reports on the death of the Great Barrier Reef. 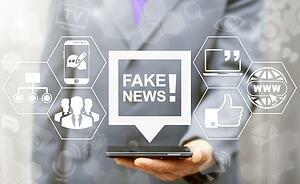 With so much fake news swirling around on the internet these days, it can sometimes be difficult to know who and what to believe – which is also true when it comes to your investments. If you're the type of person who tries to stay up to date with the latest financial news, you've probably stumbled upon news articles, blogs, and podcasts about alternative investments. You've probably listened to people talk about them as being safe, delivering high returns and being a great way to truly diversify your portfolio. And you've probably wondered whether alternative investments are as good as advertised or if all the hype is just part of the fake news phenomenon. The answer lies in the facts. The media love the newest bright, shiny object. That's why they breathlessly cover anything that's viewed as out-of-the-ordinary – medical treatments, technological gadgets, and investment opportunities. Cryptocurrencies are the latest to make headlines. This might lead you to believe that all "alternative investments" are nothing more than get-rich-quick schemes designed by a group of unsavory types in a smoky back room. In reality, alternative investments have been around forever. They include real estate, gold, highly regulated life settlements and many other investment opportunities that aren't affected by the ups and downs of the stock market. And they have stood the test of time. Everyone wants to crash-proof their portfolios, which is why everyone strives to diversify them. Unfortunately, too many people think of diversity in limited terms. They invest in stocks, sprinkle in some bonds and then throw some money at short-term CDs. The result is a portfolio that doesn't work as hard for you as it could. Alternative investments take diversification and returns to new levels. Life settlements, for example, typically deliver returns that beat the stock market – and they are not affected by the ups and downs of Wall Street. To truly diversify – and protect yourself against a stock market crash – you can't beat alternative investments. There are a lot of things to like about investments that are outside of the ordinary. Because they do not correlate to the stock market, you are less susceptible to its volatility. And while rates of return are not guaranteed, they do tend to have the potential to outperform traditional investments. You can also use analytics and modeling to predict the returns of nontraditional investments, such as real estate and life settlements. Thanks to technology and lessons learned over time, the data available has proven incredibly accurate. Having an idea of what to expect – and not being beholden to stock market volatility – reduces the risk of you making rash decisions and losing your hard-earned wealth due to a stock market crash. When you think about it, it's not news that there are safe, high return investments to be had. What is more shocking is the fact that more people do not take advantage of them. After all, honey bees aren't going extinct, the Great Barrier Reef isn't dead and viable options to the stock market have been around longer than fake news. If you're ready to write your own success story through alternative investments, connect with us today.